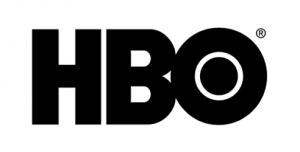 MIAMI - HBO Latin America brings viewers in the Caribbean four celebrated Hollywood hits every Saturday in May. JACK THE GIANT SLAYER<http://www.hbomax.tv/jack-the-giant-slayer/> (Saturday, May 3, 22:00hrs AST*) is a fantasy adventure film based on the English fairy tales. When Jack (Nicholas Hoult) unknowingly opens a gateway between his world and a fearsome race of giants, he must race to save Princess Isabelle (Eleanor Tomlinson) from danger. Unleashed on the Earth for the first time in centuries, the giants strive to reclaim the land they once lost, forcing Jack into the battle of his life to stop them. Directed by Bryan Singer, the film also stars Stanley Tucci, Ian McShane, Bill Nighy and Ewan McGregor. The British dark comedy SEVEN PSYCOPATHS<http://www.hbomax.tv/sinopsis.aspx?prog=WHL225391> (Saturday, May 10, 21:00hrs AST*), written, co-produced and directed by Martin McDonagh, tells the story of Marty (Colin Farrell), a struggling writer dreaming of completing his screenplay. His best friend Billy (Sam Rockwell) is an unemployed actor who makes a living by stealing dogs in exchange for reward money along with Hans (Christopher Walken), a religious man with a violent past. One day they steal a dog from the wrong man – a violent gangster named Charlie (Woody Harrelson). Now Marty will get all the inspiration he needs for his script, but will he survive to complete the most important work of his career? Director Neill Blomkamp’s newest film ELYSIUM<http://www.hbomax.tv/sinopsis.aspx?prog=CPT207086> (Saturday, May 17, 21:00hrs AST*) takes us to the year 2154 in this science fiction drama, starring Matt Damon, Jodie Foster, Sharlto Copley, Alice Braga, Wagner Moura, Diego Luna and William Fichtner. An overpopulated Earth has serious problems and pollution, a chaos that has created two classes: those with economic resources, who live safely in a space station (called Elysium), and those who cannot afford it and have to settle for survival on a planet whose resources are running short. IRON MAN 3<http://www.hbomax.tv/iron-man-3/> (Saturday, May 24, 21:00hrs AST*), the new saga adventure of the Marvel Comics series, has billionaire Tony Stark, AKA “Iron Man” (Robert Downy Jr.), facing an enemy with limitless powers. When Stark finds his world destroyed by his enemy, he embarks on a desperate search to find those responsible, putting him to the test over and over again. To carry out one of his toughest fights, he will need to improve his armor using new technology and count with the help of his great friend Pepper Potts (Gwyneth Paltrow), his armor ally James Rhodes (Don Cheadle), and his bodyguard Happy Hogan (Jon Favreau). In their fight, Stark discovers the answer to the question that has been haunting him: does the man make the suit or does the suit make the man?